As part of that group test, we had five awards given out; the Most Breathable, the Most Comfortable, the Best Protection, the Best Value, and the Best All Round knee pad. When it boils down to it, no matter how lightweight and breathable a knee pad is, its basic core function is to provide some kind of protection. Otherwise there’d be no point wearing them, right? Although the 14 test pads were all sourced under the same brief, there was still a wide range of armour on offer. From the uber-thin Race Face Charge leg guards, through to much tougher options like the ION K-Lite R pads, there are many ways that knee protection can be achieved for different riders and riding styles. Horses for courses and all that. As a generalisation, more protection typically equates to less comfort. 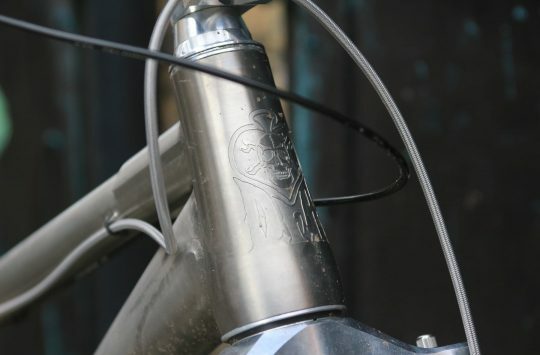 It’s relatively simple; use harder padding and more of it, and there’s going to be less flexibility, and, therefore, less comfort for all-day pedalling. Which is why the VPD Air knee pads from POC Sports are so impressive. POC Sports offer a number of different knee pad options, with the VPD Air being the lightest of the range. 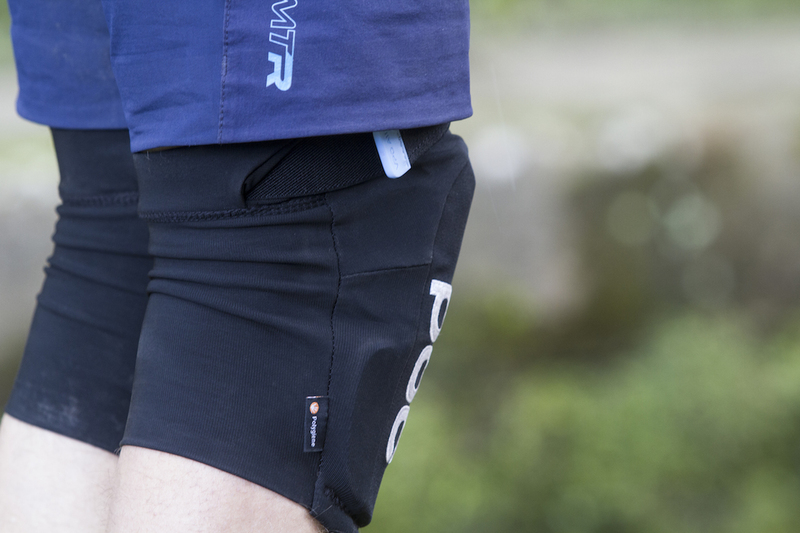 “The lightweight Joint VPD Air Knee is a light-duty knee pad developed for cyclists who want enhanced flexibility, ventilation and freedom of movement. 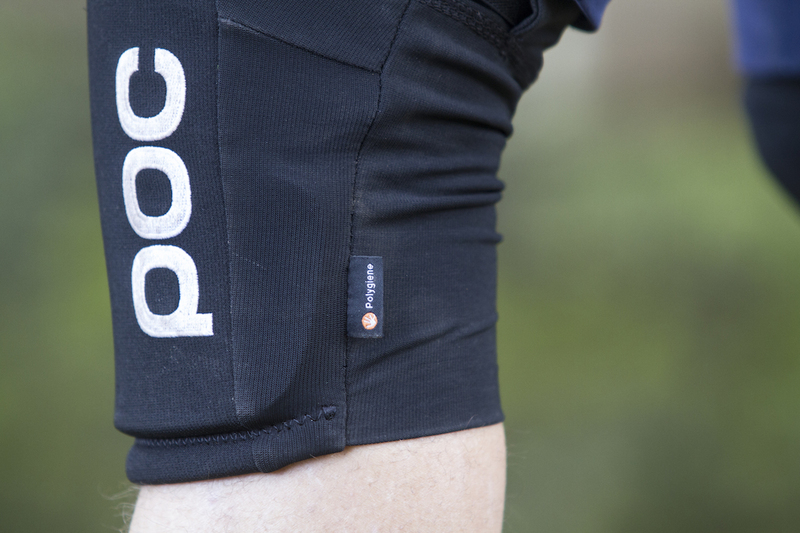 The elastic strap and neoprene anti-slip ensures a comfortable fit, even in rough riding conditions” – From POC Sports. With flexibility and breathability being the main priorities, the VPD Air is designed for riders who pedal up as well as down. 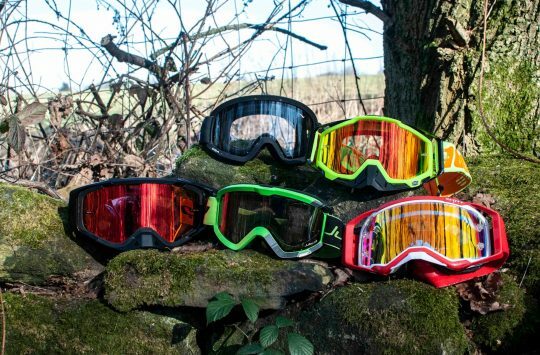 POC Sports was originally founded on designing dedicated helmets, goggles and apparel for snowsports, but has since expanded into mountain biking. Much like its Swedish compatriots at Volvo, POC is a brand that places its focus on user safety above all else, and they take it very, very seriously. Employing close working relationships with numerous spinal specialists, neuroscientists, and orthopaedic surgeons, POC takes a considerably research-based approach to developing protective products like helmets and body armour. Take the original Cortex full-face helmet released in 2010, which highlighted POC’s early adoption of the MIPS anti-rotational technology. Or more recently, POC’s €1,500 Spine VPD 2.0 Airbag vest for skiers and snowboarders. Yes, it actually has airbags in it. Inside is clever VPD material that performs like high-tech silly putty. Another safety technology that POC has pioneered is VPD. Found in numerous POC protection-wear garments, including elbow guards, knee pads and chest protectors, VPD is a type of padding that shares similar properties to silly putty. Standing for Visco-Elastic Polymer Dough, VPD is a material that feels like a soft and pliable memory foam, allowing it to flex and articulate with ease. Under an impact, however, VPD transfers from soft to hard. As the molecules lock together, the pad acts as a cohesive panel that better absorbs and distributes that impact energy. 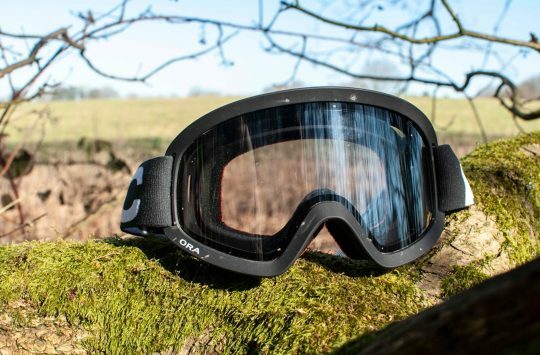 It’s very clever stuff, and is perfectly suited to high-movement areas on a mountain biker’s body. Using a stretchy sleeve construction, the POC VPD Air pads slip on easily. 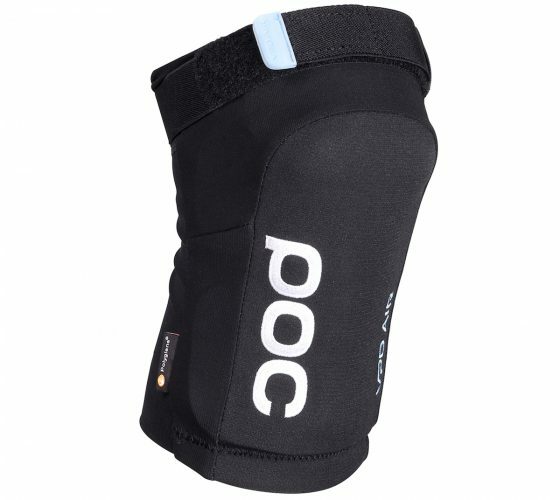 POC offers several knee pads of varying protection and coverage levels, and the VPD Air pad is the lightest in the range. 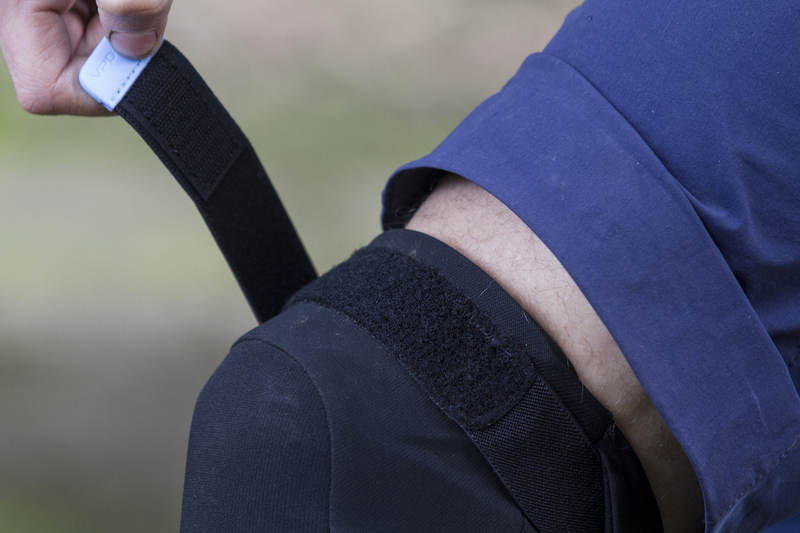 Designed for cross-country and trail riding, the VPD Air pads can be had in five sizes from X-Small through to X-Large. The pads use a sleeved design with a breathable mesh backing, a single Velcro strap around the thigh, and a Polygiene anti-stink fabric treatment. There’s a large profile Velcro strap to cinch them down on the upper thigh. When first handling the VPD Air pads, they do seem a little bulky and stiff. That’s the nature of the VPD material, however, which actually becomes more pliable as it warms up against your skin. Ten minutes into a ride, and you’ll find they come much gooier than when you first slipped them on. 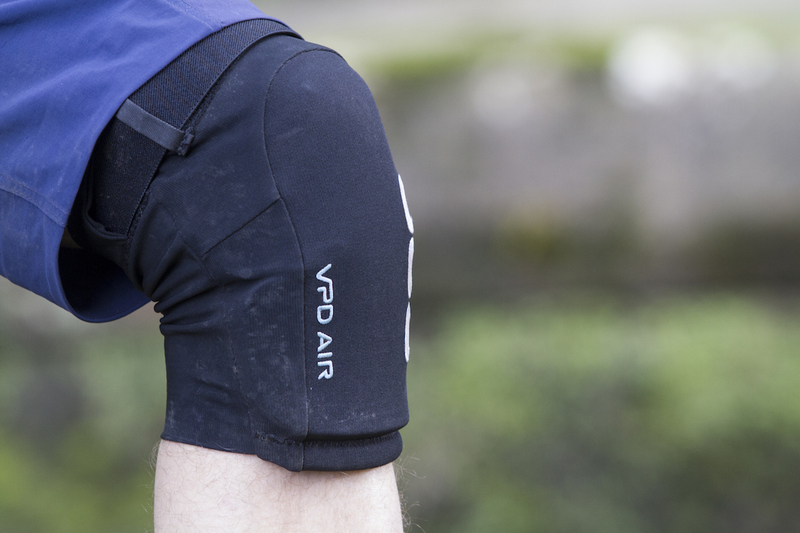 In use, the VPD Air knee pads are very stable with minimal slippage. The overall design is heavily articulated around the knee joint, and it sits comfortably without moving around. Internal rubberised liners at the top and base of the pad provide extra stickiness, meaning you won’t need to reef up the Velcro strap just to keep everything still. Lengthwise, the VPD Air pads to come up a tad short over the shin. However, riders wanting more coverage may wish to consider POC’s Joint VPD 2.0 knee pads if you’re chasing more protection and a longer cut. As for protecting the actual knee joint, the VPD Air pads are brilliant. The VPD padding is generously thick directly over the kneecap, and the panels wrap right around each side, as well as extending up over the kneecap onto the thigh. And given the amount of times I’ve banged the sides of my knees on handlebars, top tubes and god-knows-what-else, this is welcome insurance. Most importantly, the VPD Air pads provide useful protection that makes them an easy choice to slip on for even the the most tame of XC rides. As a lightweight and flexible knee pad, the VPD Air’s provide excellent impact protection. They’re not the strongest against bigger blows – the iXS Hack EVO pads take that mantle. But they place the important stuff where it counts, with more complete coverage in a well-articulated design. Combined with the supple VPD padding that becomes more fluid as it sits next to your skin, the VPD Air pads are impressively comfortable for a wide range of riders, and especially those who like to go after KOM’s on the way up as well as down. The VPD Air pads prove that today there really is little excuse these days not to wear a set of knee pads.